Bojan, it all looks good for people and static objects. Are you going to take it for bird pictures? Very informative, thank you for sharing. I think that center sharpness is no longer an obstacle these days. The most critical aspect is manufacturing quality here. Nikon is better than most in this respect. I reckon there's no market anymore for the T150-600 and S150-600 C in Nikon land. I suspect that the S150-600 S is better still though. It is great on EOS at least. Won't be that sure with "there's no market anymore". But that's only kind of feeling, no fact. T 150-600 and S 150-600 C still are less expensive, offering more range but not much more weight. and both Sigmas can be firmware updated by myself and also customized, if I don't mind the fact it's time-consuming. There are not much N200-500 in the market right now, I think it's good to wait a couple of months if this lens is really "issueless"
I'm not convinced of Nikon's VR anymore. Can only speak for me, but weak shutter speeds or the last bit of the promised 4-5 f-stops I get from my Sigmas - I don't get that from my Nikons. I've looked at some of Bojan's shots. Of course, Nikon can't make this lens equally to the much more expensive 500 or 600 primes, it's just no reason to give up an already bought Sigma to me. I appreciate the fact they offer something for the long range economic zoom league, especially for the people who are as biased for Nikon as I am for Sigma I just don't see the superior advantage of the China-Nikon. I would take the Nikon over the other two for sure. In general my experiance shows that when it comes to telephoto auto-focus the Nikon has edge over the third party producers. I am not sure how is in Canon land. 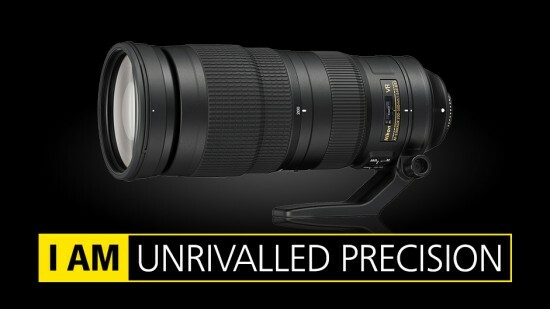 I have not much experience with Nikon's telephoto range zooms. I reckon the 200-400 is very decent, but I can't discover the same quality for the 200-500. The very expensive 300/4 is of course faster focusing than the S150-600 S, but it's weaknesses in bokeh and VR I also take into account. JoJu, if I have the oportunity to compare them on the field, and S or T are better, my perception might change. But for now I don't think I am alone in this approach of shoping for glass. One thing is for sure S and T wont sell as easy given Nikon's take on the budget super telle-zooms. borisbg, I feel I did sound too negative. 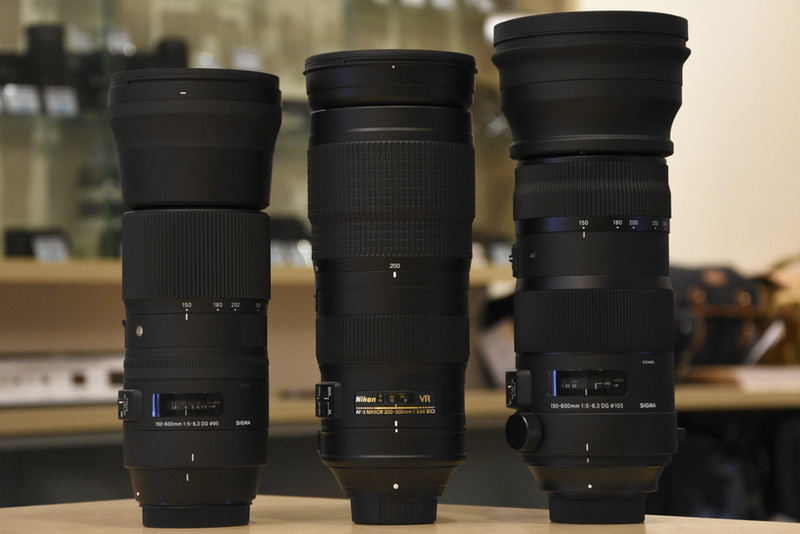 There was a time I wanted a longer lens and Sigma came up with their twins. Having had a less good experience with a Tamron zoom, I don't want to try another, stupid, I know. So I ordered Sigma and while waiting 8 months until I got mine because a Nikon owner stepped out of his order, I got myself the 300/4 which is also fantastically light and small in size. While that one was away for repair for nearly one month, Nikon service sent me a 80-400 as step in lens until they got the firmware and hardware to fix the flaws of 300. I don't know if I kept order up in case Nikon came out with that 200-500 with fixed aperture - in my eyes a benefit. It's good to have choices. And it's good Sigma and Tamron are forcing Nikon to react, it's also good Sigma eventually got a bit kicked in the a... for their long time in between announcing and delivery. Hundreds of possible customers round the world were waiting for their 150-600 and patience isn't endless once you get new choices. So I hope for Sigma to be a little bit more careful. And for Nikon, too, because delaying the already announced delivery always has the laste of "something is wrong". In Nikon's reputation there's this little "again!" coming up quite soon. Supporting a comparatively small manufacturer has it's negative sides which I'm also experiencing in the place I work. We increased our portfolio of machines up to 4 new, in theory decreased the old machines but have to deliver support and documents for the old types as well, but we're still only two guys in my job. Times are a little more busy here. Together with this picture it's pure sarcasm - at least, who wants to rival crappy AF? Brain-amputated idiots, incompetent to learn from their mistakes. I'm sorry, but I'm embarrassed. It's a shame for us Nikon owners. The lens is designed/developed in Japan, where the issue originates. Has nothing to do with China. And they offer a firmware update for the unusual behavior (lens switching to MF). Does not mean the lens has bad AF. Bad product testing, yes. I can understand frustration about that. But at least this issue is really solved. Unlike some others.